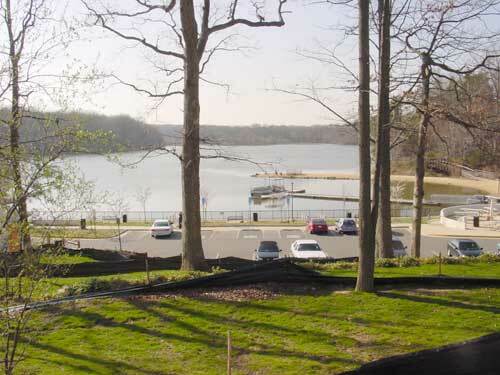 The Washington Apple Pi will host a picnic for members and guests on June 19th 2004 at Lake Accotink Park near Springfield. VA. The event will run from 10 am to 4 pm. Advance sale tickets will cost $5 and they will be available at the April and may General Meetings of the Pi. For those who can't make it to a General Meeting, advance tickets are also available if you send an addressed, stamped envelope and appropriate funds to the office, or you can call the office and order tickets in advance (301-984-0300) if a volunteer is available to take your order. Tickets at the event will cost $6.50. Children 7 and under are admitted free in the company of their parents. Grab a PDF (Adobe Acrobat) picnic flyer on the event, in a Web-friendly small size (63K) or a larger printer-friendly size (3MB). This special social event is intended to allow Pi members to learn a few more names and faces of fellow members. It is being held in lieu of an indoor General Meeting for the month of June and will also serve as an informal reception for newly elected Board of Directors members. A - F) Picnic salads - pasta salads, lettuce salads, fruit salads, vegetable crudites, etc. G - L) Side dishes - Baked beans, green beans, potato salad, deviled eggs, etc. S - Z) Desserts - Cakes, cookies, pies, etc. The $5 admission fee covers the cost of hamburgers, hot dogs, dinnerware, ice, beverages, etc. 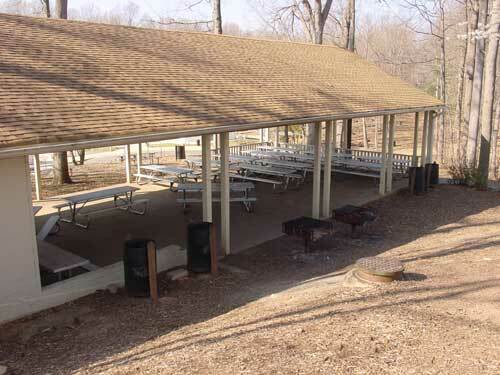 The picnic setting is "suburban rustic" in a park with a pleasant lake (See Figure 1). We are using the "Large Lake Shelter," (See Figure 2) which overlooks the lake and has room for 200 people, so that inclement weather should not be a problem. Further information will be available on the Pi website. From westbound on Highland St.: Watch for the sign to Lake Accotink. Turn right onto Accotink Park Road which soon forks left (south) and becomes the Lake Accotink Access Road. Do not continue straight as the road becomes Southern Drive which leads to an industrial area with no exit. Continue on the access road until you see a parking lot on your left and a high railroad bridge ahead. The picnic pavillion and marina are around the bend to the northeast another 0.1 to 0.2 mile, depending where you park, so park as near the railroad bridge as you can to shorten your walk. There is a turnaround at the marina where you can unload passengers and picnic supplies, but very little parking.